On September 28, 2015, Tajik lawyer Buzurgmehr Yorov left his office to meet with officials from the Ministry of Interior. The head of the ministry’s Organized Crime Unit had summoned Buzurgmehr to his office for what his family prayed might be a simple conversation. Buzurgmehr must have had an idea of what was to come. One of Tajikistan’s most indefatigable human rights lawyers, he had recently taken on representation of 13 opposition politicians accused by the government — without evidence — of plotting a coup. Just a few days earlier, Buzurgemehr announced that one of his clients had been tortured in pretrial detention and called for a coalition of lawyers to join him in representing the detained politicians. Shortly after this announcement, government officials asked Buzurgemehr to drop the case. He refused. When Buzurgmehr entered the Ministry of Interior offices on September 28, he was immediately arrested and ultimately charged with forgery, fraud, arousing national, racial, local, or religious hostility, and extremism. A statement issued by the ministry described him as an “attorney-fraudster” and a “swindler.” A few weeks later, a television show depicted Buzurgmehr as an “attorney-fraudster” with stock images of money bags. Fayzinisso Vohidova, a prominent Tajik lawyer who was renowned for her preparedness to defend political arrestees and constant criticism of Tajikistan’s authoritarian system, passed away on January 4. On Facebook, where open criticism of authorities in the Central Asian country is growing rarer and rarer, the outpouring of grief told its own story. A mother of three, Vohidova was often referred to by her admirers as a “Gurdofarid”, referencing the fearless ancient Persian heroine from the Shahnameh epic Persian poem. She lost a short battle to pneumonia only a week after celebrating her 55th birthday. 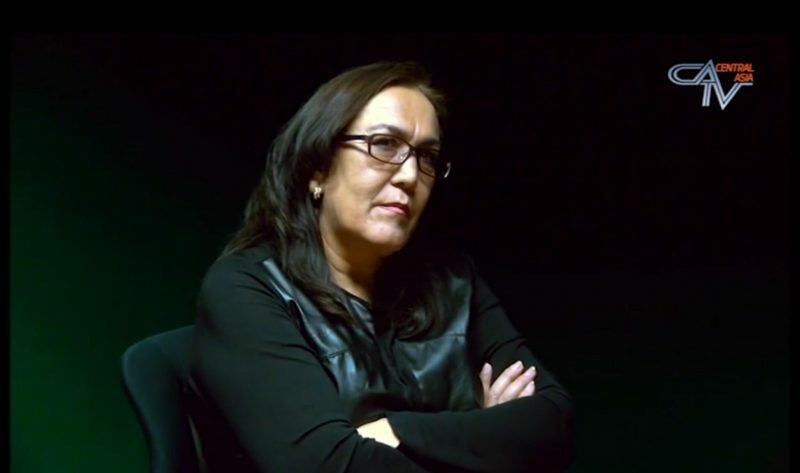 In recent years, Vohidova suffered regular harassment at the hands of Tajik authorities, verbal attacks from regime supporters and a curtailment of her professional activities. Although she avoided arrest, Vohidova had her license to practise law suspended andcould not leave the country at the time of her death. Today the ICJ, in co-operation with the Legal Policy Research Centre and the Union of Lawyers of Tajikistan, is holding a regional conference on the independence and role of lawyers, in Dushanbe. Lawyers from Tajikistan as well as other countries of Central Asia, the Commonwealth of Independent States and Europe will discuss the legal safeguards that should apply to lawyers to ensure that they can defend the human rights of their clients and the role of bar associations in protecting the security and independence of lawyers. They will consider the role of committees to protect the rights of lawyers, which have been established within the bar associations of several countries in the region, and how these specialized bodies can work most effectively. A set of recommendations on the protection of lawyers in the region will be produced following the conference. On October 22, 2018, Freedom Now, Lawyers for Lawyers, Hogan Lovells US LLP, and DLA Piper UK LLP filed a petition with the UN Working Group on Arbitrary Detention on behalf of human rights lawyer Buzurgmehr Yorov. The organizations argue that the Government of Tajikistan’s continued detention of Yorov is in violation of the International Covenant on Civil and Political Rights and the Universal Declaration of Human Rights and urge the UN Working Group to take immediate action. Yorov is one of Tajikistan’s most eminent human rights lawyers, a reputation developed by taking on a number of high-profile legal cases, representing individuals prosecuted by the government of Tajikistan on politically-motivated charges. The government has routinely targeted Yorov for his work. For example, one case initiated by the former chief military prosecutor and current Attorney General sought to dissolve his law firm. In early September 2015, Yorov took on the initial representation of 13 members of the Islamic Renaissance Party of Tajikistan (IRPT) who had been falsely accused by the government of orchestrating a failed coup in September 2015. On the same day that the Tajik Supreme Court designated the IRPT a terrorist organization, police arrested Yorov, raided his home and legal office without a warrant, and ultimately charged him with forgery, fraud, “arousing national, racial, local or religious hostility” and extremism. These charges appear to have been prompted by an interview Yorov gave shortly before his arrest in which he announced that his client had been tortured in pre-trial detention and called for a coalition of lawyers to join him in representing the detained IRPT members. Yorov was held in pre-trial detention for about eight months, where he was beaten and held in solitary confinement in several occasions. On October 6, 2015, after a trial replete with due process violations, he was sentenced to 23 years in prison. 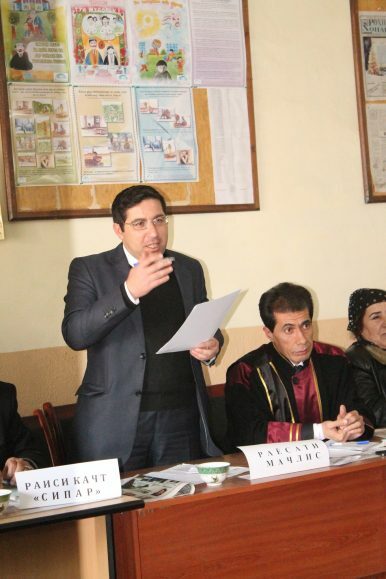 In Azerbaijan, the national parliament amended the ‘Code of Civil and Administrative Procedure’ and the ‘Bar Act’ in October 2017 to state that only members of the Azerbaijan Collegium of Advocates can represent clients in court, substantially cutting the proportion of lawyers to the population to one of the lowest rates in the region.Furthermore, authorities summarily disbar prominent human rights lawyers and deny accreditation to junior advocates. Lawyers including Khalid Baghirov, Aslan Ismayilov, Alaif Hasanov, Elchin Namazov, Yalchin Imanov, Farhad Mehdiyev, Muzaffar Bakhshaliyev, Annaghi Hajibeyli, Aliabbas Rustomov, and Intigam Aliyev have all had their bar membership suspended or revoked shortly after raising human rights concerns on behalf of clients or criticizing the government. Junior lawyers are unable to join the Collegium of Advocates due to its bias against lawyers connected to human rights cases. Samed Rahimli, known for taking on political contentious cases, describes his interviewers from the Collegium of Advocates as being openly hostile towards him and accusing him of trying to destroy the collegium. This systematic persecution of human rights lawyers has left the country with only six practicing human rights lawyers, according to Intigam Aliyev, a human rights lawyer previously jailed for his work.